The Metropolitan by COMO, Miami Beach is now open for business. Located on Collins Avenue and 24th Street in South Beach, the 74-room hotel occupies an original 1930s Art Deco building. While centrally located, the feel is a true respite from the buzz and beat of South Beach: it’s right on the beach and has a private pool with cabanas and a rooftop COMO Shambhala spa. It even has a private dock on the Intracoastal Waterway. Interior design is by the Italian designer Paola Navone, who preserved the hotel’s Art Deco exterior and other features – such as the lobby’s terrazzo floor – and contrasted it with urbane, contemporary interiors in shades of peppermint green and dusky grey, with surfaces of cool white marble and shining chrome. The hotel has two restaurants, including The Traymore, showcasing Floridian seafood such as stone crab, Key West pink shrimp and yellow tail snapper. At the poolside restaurant – open only to hotel guests – diners can enjoy pizzas from the brick oven or graze on crudo while relaxing in a cabana. The Traymore Bar will have over 30 artisanal gins. The rooftop COMO Shambhala Urban Escape spa has four treatment rooms, hydrotherapy pool and juice bar with views of the ocean. Therapies include the company’s signature COMO Shambhala Massage as well as the COMO Shambhala Sun Soother. Each morning complimentary yoga is offered on the spa terrace overlooking the Intracoastal Waterway. Rates begin at $499 per night for a Metropolitan Room. Metropolitan by COMO is owned and operated by Singapore-based COMO Hotels and Resorts, which also owns the private island resort Parrot Cay by COMO in the Turks & Caicos. Metropolitan by COMO, 2445 Collins Avenue, Miami Beach, FL 33129, 305-695-3588 or 855-316-2666, www.comohotels.com/metropolitanmiamibeach. Looking for an eco-chic beach retreat this fall? Rates at The Clifton Hotel in Miami’s South Beach start at $149 per night weekdays and $199 per night on weekends through Nov. 30, 2012. The Clifton – Florida’s first LEED Gold hotel – just joined the Ascend Hotel Collection membership program from Choice Hotels International, an elite portfolio of independent hotels. As part of this global network, the property remains independently owned and operated, while gaining a presence on ChoiceHotels.com, one of the industry’s most visited websites, drawing 100 million visits annually. 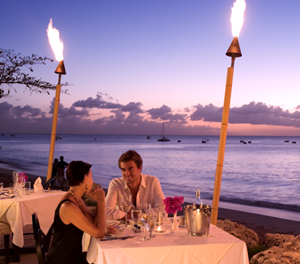 The Clifton also gets a loyalty program, Choice Privileges, with more than 15 million rewards members worldwide. This 35-room boutique hotel is located in the heart of the historic Art Deco District, one-half block from the beach and a short stroll to South Beach’s famous nightlife, shops and restaurants. The Clifton underwent a multi-million-dollar eco-renovation and reopened in 2010 with its historic, Art Deco façade refreshed and redesigned interiors that are fresh, hip and environmentally friendly. Contemporary decor features custom furnishings made locally with bamboo. Guestrooms are outfitted with modern LED lighting, and beds boast comfortable mattresses created from renewable materials and topped with soft pillows made of recycled bottle fibers that are allergen-free and anti-microbial. Among the many other green features: solar power, an occupancy-sensing energy management system, high-efficiency faucets and air conditioning system, water-conserving dual-flush toilets and energy-efficient windows. The lobby bar serves up organic wines and cocktails along with traditional South Beach favorites. Guests can enjoy a continental breakfast as well as VIP passes to nightclubs and pre-parties. Launched in the fall of 2008, Ascend Hotel Collection today has more than 75 distinctive hotels in the United States, Canada, the Caribbean, Scandinavia and Costa Rica. The fast-growing portfolio appeals to savvy travelers who like to immerse themselves in a destination and live like the locals when they travel.